Womens Health and Reproductive Medicine are committed to upholding the highest standards of publication ethics and takes all possible measures against any publication malpractices. 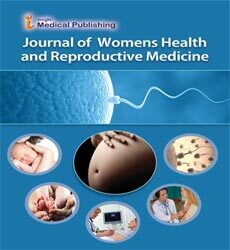 All authors submitting their works to Womens Health and Reproductive Medicine for publication as original articles attest that the submitted works represent their authors’ contributions and have not been copied or plagiarized in whole or in part from other works. The authors acknowledge that they have disclosed all and any actual or potential conflicts of interest with their work or partial benefits associated with it. In the same manner, Womens Health and Reproductive Medicine is committed to objective and fair single-blind peer-review of the submitted for publication works and to prevent any actual or potential conflict of interests between the editorial and review personnel and the reviewed material. Any departures from the above-defined rules should be reported directly to the Editors-in-Chief, who are unequivocally committed to providing swift resolutions to any of such a type of problems. An author should not in general publish manuscripts describing essentially the same research in more than one journal or primary publication. Submitting the same manuscript to more than one journal concurrently constitutes unethical publishing behaviour and is unacceptable. Acknowledgement of Sources Proper acknowledgment of the work of others must always be given. Authors should cite publications that have been influential in determining the nature of the reported work. If the work involves chemicals, procedures or equipment that have any unusual hazards inherent in their use, the author must clearly identify these in the manuscript. Disclosure and Conflicts of Interest All authors should disclose in their manuscript any financial or other substantive conflict of interest that might be construed to influence the results or interpretation of their manuscript. All sources of financial support for the project should be disclosed.